Background: A multimedia software designed as a Computer-Assisted Scaffolding system was used to teach gas behavior on the submicroscopic level using Physics Education Technology Project (PhET) simulation. 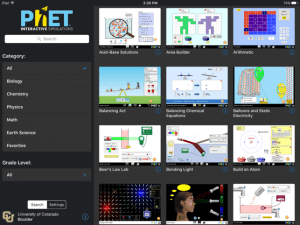 PhET is a set of interactive, research-based science and mathematics online simulations. Purpose: The purpose was to investigate secondary school students’ perceptions of the simulation-based learning system and how it supported their cognitive processing of chemistry target concepts. Identifying its most (and least) helpful features and instructional strategies was also an objective of this study. Simulation-based learning system description: The Computer-Assisted Scaffolding system (Program) combined with the PhET simulation were meant to facilitate learners’ conceptual understanding of gas behavior on the submicroscopic level, which would serve as a foundation for learning gas laws on the macroscopic and symbolic level. Chemistry target concepts included causes for gas pressure, relationship between gas pressure and volume/temperature changes, and relationship between gas pressure and the number of particles. Sample: One hundred and fourteen secondary school students participated in this study as part of their science curriculum. 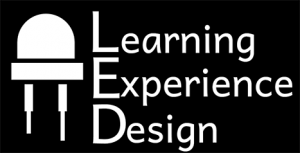 Design and methods: Data on the students’ perceptions of the overall learning experience and specific Program features were collected and analyzed. Students responded to three open-ended questions and provided ratings of the Program features, such as pop-up explanations, images, model explorations, guiding questions, diagrams and feedback. They used a paper-based survey that was administered during the last 8 min of class. Results: The results provide preliminary evidence of the benefits of this approach in chemistry education. For instance, the changing variables in the simulation helped students understand gas behavior, the multiple images and working with the simulation lab helped students visualize gas behavior, and the design of the system made it easy for students to understand gas behavior on the submicroscopic level. Conclusions: The vast majority of the students reported a positive learning experience and described it as worth spending their time.